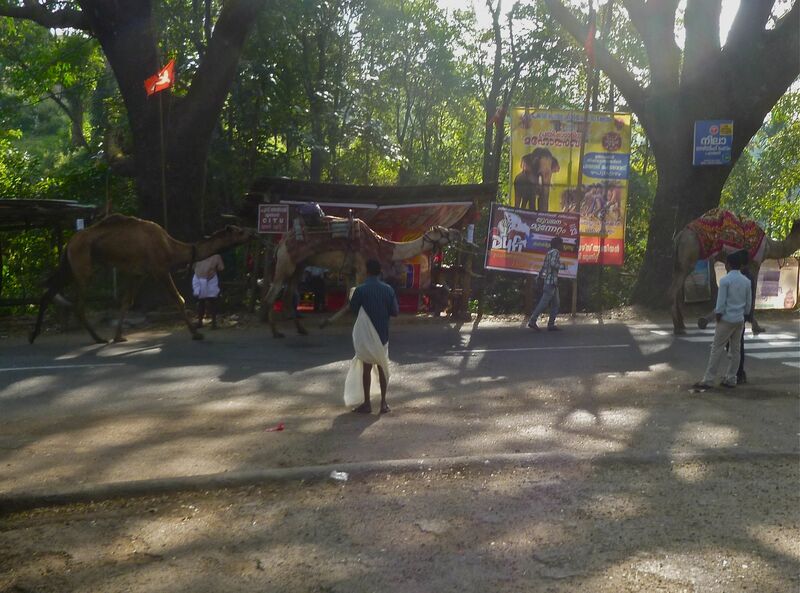 Camel procession on Xmas morning 2013 in Mukkali, portal to Silent Valley, Kerala. December 25. We found an electronics shop not far from the guest house and bought a phone charger and put in enough juice so that Dr. Mani could advise Arun of situation. Jesus has a pretty large presence here, but not enough to shut things down today. There was a procession with three camels that came through town that was probably some kind of nativity reenactment. Jackfruit, Artocarpus heterophyllus. Native to Kerala but now found across the world’s tropics. Feeling relieved at being back in contact with the world, Mani and I took a Jeep tour of Silent Valley with driver Mustafa. Just inside the buffer zone there is a sizeable village of tribal people, who are the buffer zone’s primary users. 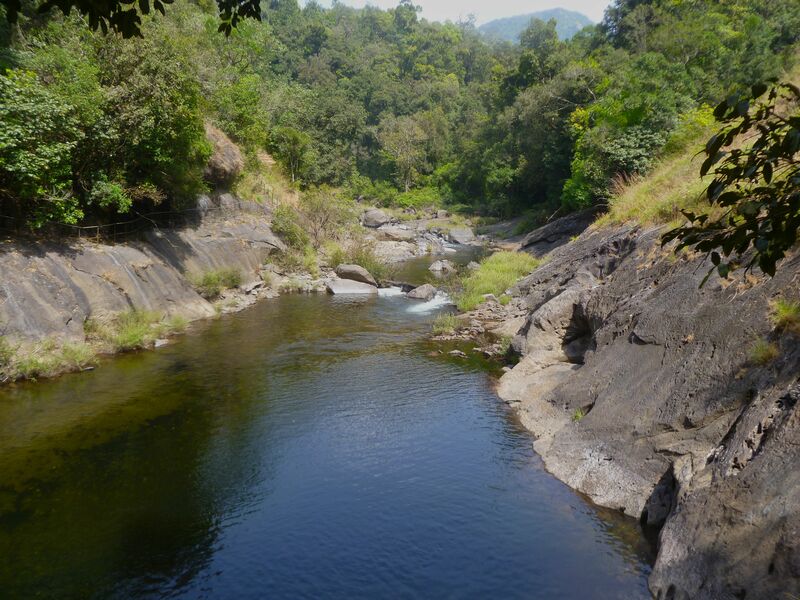 As a national park, the protection of Silent Valley’s core area extends to prohibition of use by tribals, unlike the state-managed tiger reserves and wildlife sanctuaries. We drove through stretches of forest with black pepper vines ensheathing the trees and coffee growing in place of the understory. One of the restrictions of buffer zone use is a ban on the felling of trees, so the shade for the coffee and the support for the black pepper is provided by mostly native species of tree. Cultivation of plants like coffee and pepper is also not allowed, but these particular plantings pre-date establishment of the restrictions, so the tribals are allowed to continue to harvest this coffee and pepper as “forest products.” Also the use of pesticides is also prohibited in the buffer zone, so the products grown in reserve buffer zones are all certifiably “organic.” Not all of the trees were native. There were a few recently planted coconut palms in the outermost layer of the buffer zone. There were teak trees, which though a native species has had its range extended by active planting both during and after the period of British rule. There was a large jackfruit tree, which can be found as a “welcomed and permanent guest” across the world’s tropics but is native to the forests of southwestern India, i.e., exactly where we are. 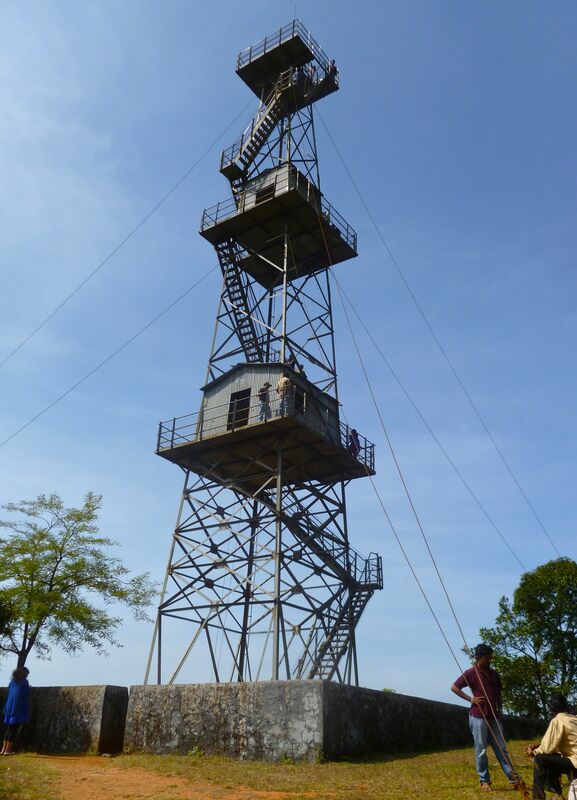 30 m watchtower at the end of the road into Silent Valley. This and the trail down to the Kundhi River bridge are the only places in the core area where foot traffic is permitted. There’s no way to describe the insane majesty of this place. The video I took can’t capture how special of a place this is. But there’s a subtext to Silent Valley, and it is a very encouraging story on how the role of humans in conservation activism can make a huge difference. Providing energy for India’s already huge and growing population and growing economy is obviously a huge challenge. Thermic energy from the combustion of coal is one of the two principal sources. Many newer plants are using cutting-edge methods to maximize the efficiency and minimize the pollution from coal combustion. With a large stock of coal, India will be powering its future growth for some years to come. But even with the imported German technology, coal still emits more carbon per kilojoule than other forms of fossil fuels. In recent years much of the “fully developed west” including the U.S. has managed to reduce its carbon emissions, largely by transitioning from primarily coal to primarily natural gas or (better) to carbon-neutral sources. Coal-dependent India and China are projected to be the major contributors to increases in atmospheric carbon for years to come as their economies continue to rise. Let’s hope that they are able to move rapidly over to cleaner and more sustainable sources. The other major energy source is hydroelectric, and really—why not? This subcontinent is blessed with monsoonal precipitation that is mostly quite reliable, and the topography of much of the country contains large, narrow canyons carved by rivers out of the elevated highlands—perfect for the construction of dams that use of gravity to make electrical energy with no carbon emissions at all. It’s basically another natural resource available to the Indian population. The Western Ghats contain many reservoirs. Most—like Siruvani Dam—are used only for storing water for steady domestic water and irrigation, but larger projects are built for both storage and hydro-power. Kundhi (Kunthipuzha) River from the bridge at the end of the foot trail at Silent Valley National Park, Kerala. The unfortunate consequence of damming rivers in this way is the disruption of natural riverine habitat. The stream bed and terrestrial systems on both faces of the canyon being flooded are lost. The flow pattern changes downstream of the impoundment—instead of fluctuating between running high and low, there is a steady flow through the canyon. I’m reminded here of our very own Grand Canyon, where ever since the construction of the Lake Powell dam upstream there has been an accumulation of bigger rocks and boulders that historically would get cleared downstream by flood periods. It also cuts off any migration between upstream and downstream parts of the river. Maybe some downstream migration is possible if an upstream river fish were to swim through the lake and over the spillway (better that than through the turbines), but the reverse route would be impossible. This is a potential area for studies in population structure by scientists like Dr. Mani and Arun. There are other losses as well. The one coming to mind and causing the greatest outcry from people is when waterfalls are lost. I can’t help but mention here the “Sete Quedas” (7 Falls) that were destroyed to make the enormous impoundment on the Rio Paraná in Brazil. I say “destroyed” and not just “flooded” because the rock masses creating these spectacular falls (bigger than Niagara and close to Iguaçú in awesomeness) were dynamited and reduced to underwater rubble in order to make the lake more easily navigable by large cargo ships. The sete quedas project obviously went through in spite of the protests. There’s a very sad note in this Brazilian story, in which a suspension bridge collapsed under the weight of dozens of people during a protest and resulted in loss of human life. Silent Valley is moist evergreen forest. 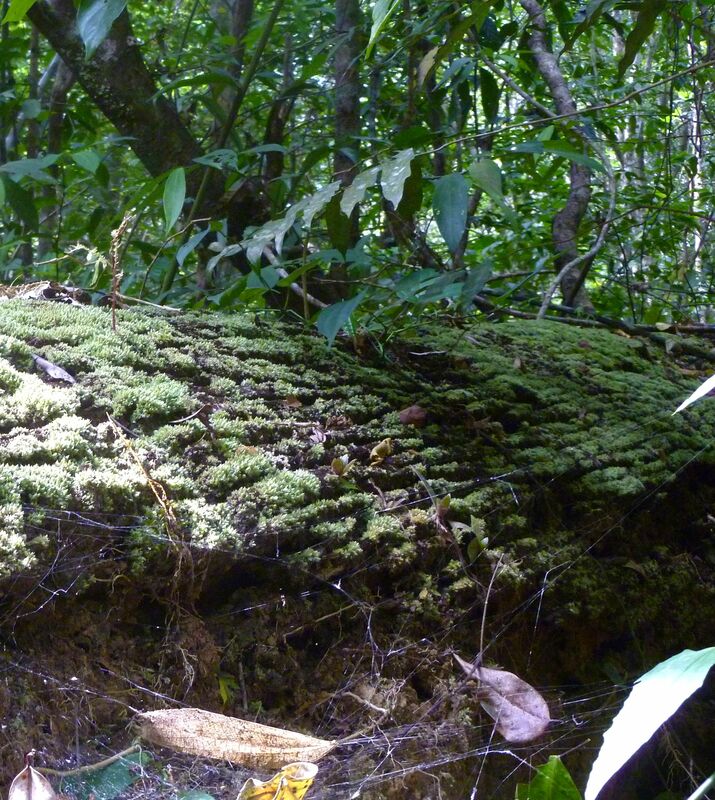 Its core area is perhaps the best example of primary rain forest vegetation in the country. If you google “Silent Valley” you’ll probably come up with older links to the news items arising from protests in the late 1970s and early 1980s by local environmentalists when the Kerala government wanted to impound the Kundhi River to create a source of hydroelectric power in Silent Valley. Only in this case the national government actually listened to the protesters and intervened. The project was axed when Delhi stepped in (Indira Gandhi herself, actually) to create the national park at Silent Valley with the stipulation of absolutely no development or exploitation within the park’s core area—except for the Jeep tours to the watchtower, and this is only allowed for the purpose of generating revenue. Not even fuel wood collection by tribals is permitted. So yeah, wow. Activism works. The protesters were mostly Kerala locals who knew of the park’s insane majesty who were also joined by conservation groups. If not for them this whole valley would be underwater and generating electricity for nearby cities. Moral of the story: ACTIVISM WORKS. Nearby the watchtower there’s a short trail down to the Kundhi River bridge, which is impassible, but there are nice views along the way. 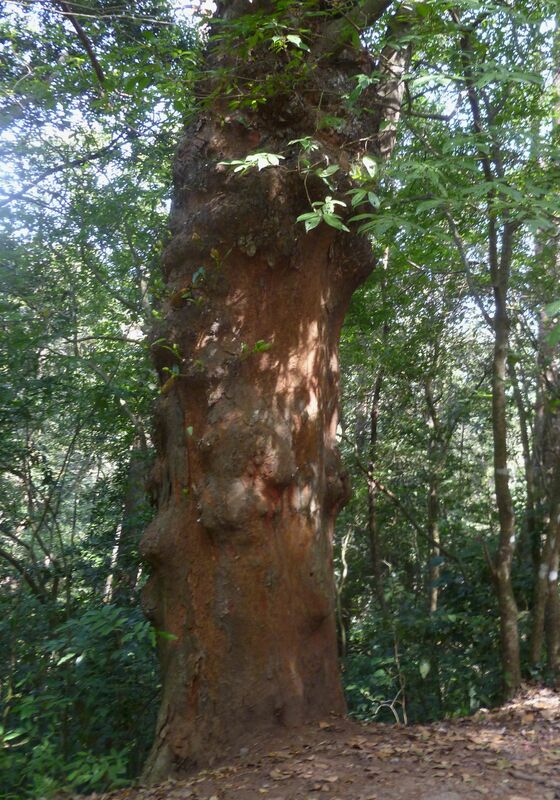 Saw giant squirrels, Nilgiri Langurs, emerald doves, and a big tiger’s claw marks on a tree. A tiger marked its territory by leaving claw marks on a tree. After the Jeep tour we met up with Arun, Magesh and Sabadi, the driver of our new vehicle, a much larger Mahindra 4X4. Returned to Coimbatore for a very brief stop and proceeded to Anamalai/Topslip. Before leaving Silent Valley Magesh was hit with a stick that was dropped on him from directly overhead by a woodpecker. Shortly afterward a racket-tailed drogo flew into view at close range. Once again our entry to the Anamalai Tiger Reserve was well after hours, and Dr. Mani needed to pull out his little black book for a phone call to a high official in the Tamil Nadu Forest system—basically the boss of the boss of the forest guard’s boss—who granted our entry but also gave Dr. Mani a stern reprimand for asking for such exceptions to what are typical non-negotiable rules. We pulled into the guest house at Topslip for the night. Satellite view of Silent Valley, from Google Maps. It turns out that much of the land is actually denuded, though the parts visible from the watch tower are nicely covered with forest. Epilogue. 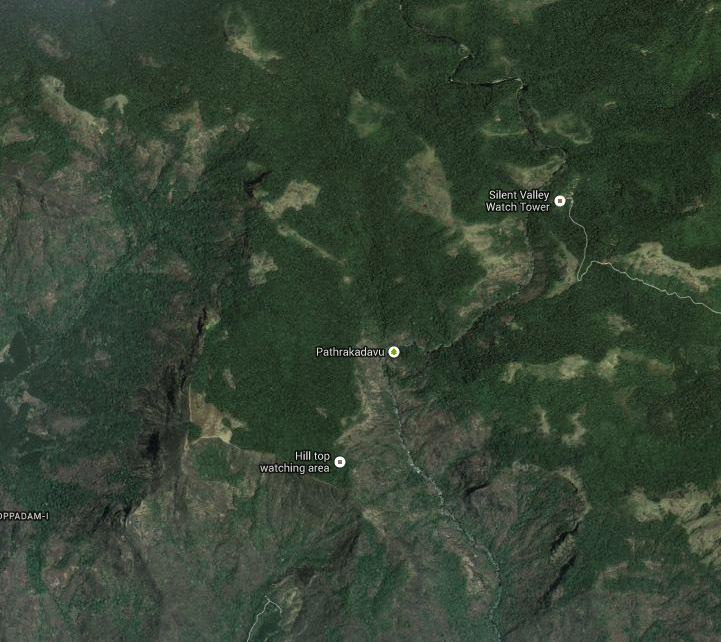 My enchantment with the panorama at Silent Valley is shattered after seeing this satellite image from Google Maps. It shows that while the parts of the hills that are visible from the watchtower are nicely covered with primary forest, much of the land that is not visible in my panorama shot is actually denuded. I understand that forest clearing to make space for illegal Cannabis crops has been a problem in this area.